The pre-owned automobile market is extremely vulnerable. It’s is very difficult to build trust around what is shown. Moreover, there’s lot of speculation around the price. Is it fair or not? Rightly, the process of buying a used automobile is full of anxiety and confusion. India’s most trusted motorplace, Droom is trying to organize the oh-so-unorganized Indian Online Automobile market, which is a battle field for various big automobile. Droom introduced India’s first and only pricing engine – Orange Book Value (OBV) to help buyers check the fair market price of the vehicle before making the final deal. Orange Book Value is an independent, unbiased, objective, and data driven pre-buying tool that calculates a fair market value of any used vehicle. And other important factors. 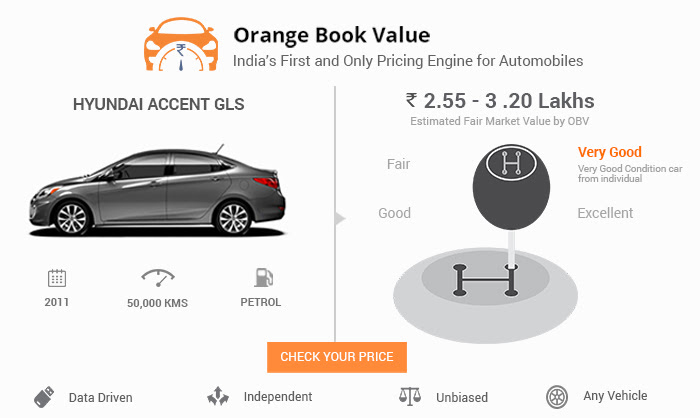 Any user – buyer or seller, can use Orange Book Value to decide a buying or selling price of a vehicle. Get the estimated market value not only cars but also for all automobile categories like bikes, scooters, and even planes. It’s a great tool for everyone as, it removes the suspicions around price and builds trust in the vehicle based on current condition and market status. OBV can help in regulating the pricing of used vehicles, as sellers will not be able to randomly price the vehicle by their will. Buyers can also calculate the estimated market price of a used scooter, bike, car or more to make a more informed decision. So, the apprehensions around the price of a used automobiles can be easily overcome. Droom aims at organizing the scattered oniline automobile market and building Orange Book Value is just another step. So, before you buy next used bike, car, or scooter, make sure to check the price of the vehicle with Droom’s Orange Book Value. Get peace of paying the right price.